Oxfordshire conjures up images of ethereal "dreaming spires", scholarly pursuits and thatched roofs, but there is much more to the county than one of the world's oldest and most famous universities. The landscape is varied, with the charming villages of the Cotswolds to the north and the rolling vistas of the Chilterns to the south. So plenty of the best places to stay in Oxfordshire aren't in fact near the famous county town at all. Oxfordshire's scenery is well seen on foot or two wheels - if you're up for a more active Oxfordshire odyssey try the Green Belt Way, a fifty mile circular path around the city of Oxford itself, or the Oxfordshire Way, which stretches from Henley to Bourton on the Water. Even Oxford itself is very cyclist friendly - think of all those cyclists in gowns you see on "Inspector Morse". If you're here to lap up the history and culture, you'll of course find plenty of that in Oxford, with its graceful architecture. Well-heeled Henley is also worth a look, an elegant, riverside town known for its regatta. A trip to Oxford wouldn't be complete without visiting the Bodleian Library, Oxford University's main library. Established in 1602 and home to over 12 million items, this is Britain's second-largest library and definitely one of the most beautiful. With stunning interiors and breathtaking architecture, this is a tremendously atmospheric spot. Take the whole family on a day out to the Cotswold Wildlife Park, a 160-acre area of parkland boasting more than 260 animal species. Filled with giraffes, zebras, lemurs, lions and more, you can watch the penguins being fed and pet the goats in the farmyard. What's more, there's an adventure playground to help the kids let off some steam. Be sure to visit Broughton Castle and enjoy a picnic afterwards in the lovely gardens. This moated and fortified manor house, whose core was built as early as 1306, boasts wonderfully historic interiors as well as a tearoom in which to relax after a tour. Wander around Oxford's Covered Market, an indoor bazaar dating back to the 1770's and home to a number of artisan grocers, boutique shops and bustling cafés. The best places to stay in Oxfordshire provide a good base from which to explore, and don't forget to make sure that Blenheim Palace in Woodstock is on your radar with its beautiful gardens by Capability Brown or Wallingford Castle dating back to the medieval period. The Randolph is an Oxford institution. The building, in the centre of town, is Gothic revival, but with a fashionable vibe, and the baronial restaurant is a 'place to go' for locals as well as visitors. It has a spa, antiques, family suites, free wifi and a great wine list. Plus, it's the best (and only) place to stay in Oxford if you're looking for five stars. Clad gracefully in wisteria, The Old Parsonage looks like a country house that has been deposited bang in the centre of Oxford. It offers elegant rooms and great food. 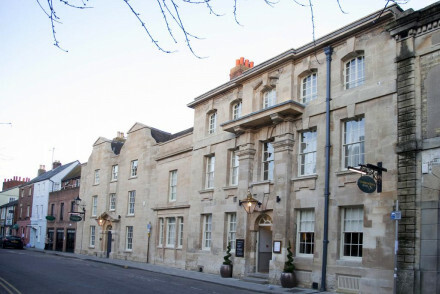 Malmaison Oxford has become well-known for the previous inhabitants of the building - prisoners. 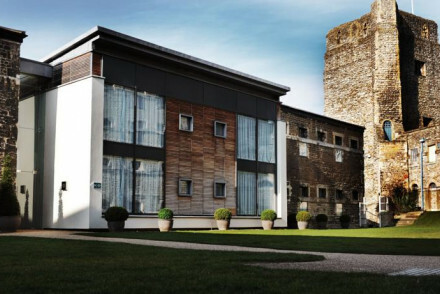 Yes, this now quirky and contemporary hotel was once a castle and a prison; it still has the heavy doors, with their telltale dents, and barred windows to prove it. 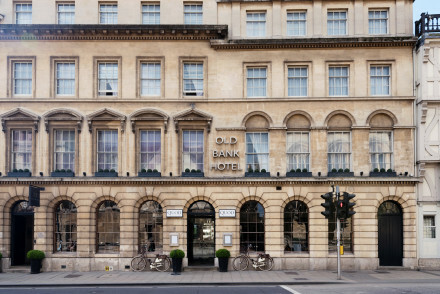 If you're happy with spires and traditional sandstone outside contasting with something a bit more contemporary inside, book a room at the Old Bank Hotel. 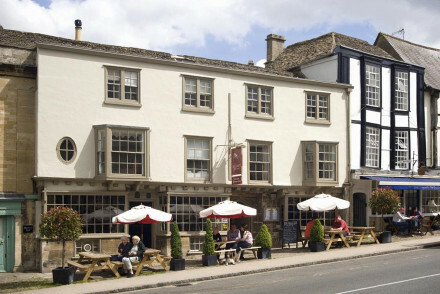 Located in the picturesque Burford, The Lamb Inn is a charming 14th century inn with a 2 AA Rosette restaurant and Michelin recommended bar. The seventeen rooms are all individually decorated with traditional colours, often complemented by antique furniture. 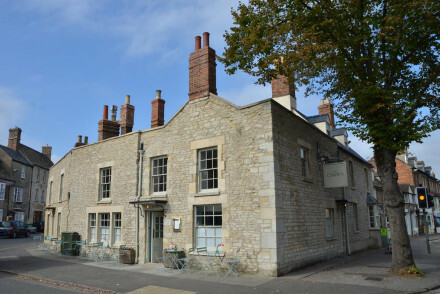 Burford House occupies a 17th century building in the heart of Burford with comfortable, elegant interiors and a good restaurant specialising in locally sourced produce. 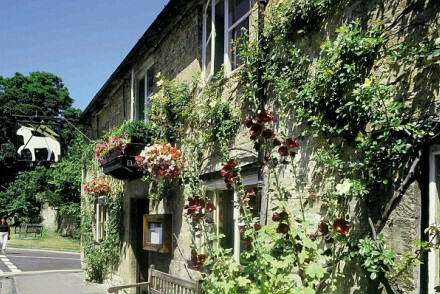 Or you could check out the Old Swan and Minster Mill, an excellent gastropub with simple but luxurious accommodation. 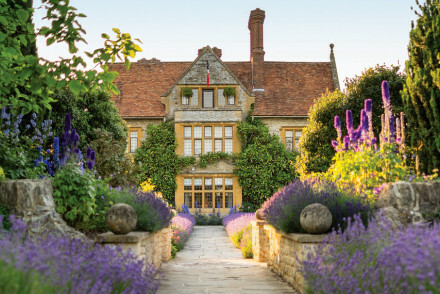 Belmond Le Manoir aux Quat' Saisons is Raymond Blanc's famous and fabulous establishment where the rooms are as elegant and pleasing as the two Michelin-starred food. Give yourself the ultimate treat and book a cookery course on site. 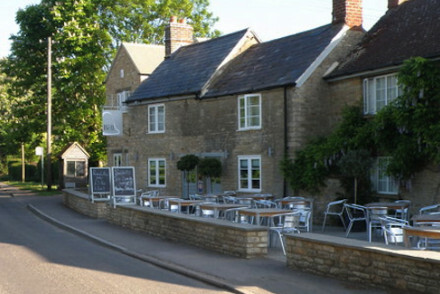 The Feathers is within spitting distance of Blenheim Palace. 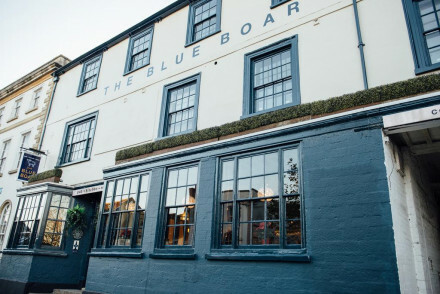 Come here for the delicious award-winning food served in the restaurant where the emphasis is on modern English cuisine from locally sourced produce. The Bell is an intimate 9 room property in the village of Hampton Poyle. Offering tasteful accommodation with plenty of egyptian cotton and monsoon showers, it's also wonderfully located to enjoy some of the best walks and bike rides in the region. 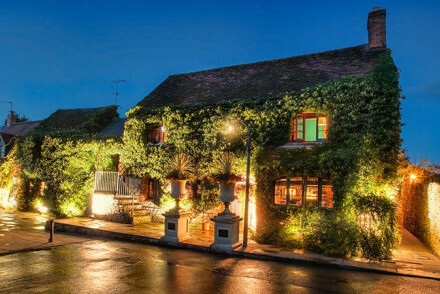 The Trout At Tadpole Bridge boasts an intimate atmosphere in a secluded setting, backing onto the River Thames. This classic country inn features 6 smartly decorated rooms and an AA rosette winning restaurant - what more could you ask for? Set in an historic country house with an ivy-clad exterior façade, The Manor, Oxfordshire is a dreamy spot. 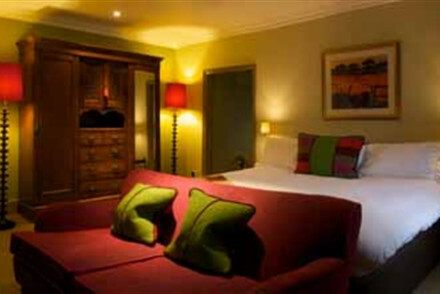 Come here for elegant rooms with traditional interiors and roaring log fires in common areas. With lovely gardens and a fine dining restaurant, it's the ideal country retreat. 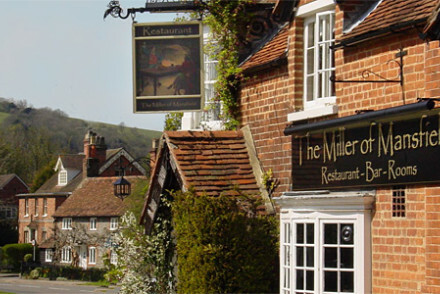 Miller of Mansfield in Goring on Thames is a traditional, ivy-covered inn in a charming village setting. The restaurant and bar have won awards, the 15 rooms and suites suites have been individually designed and it overlooks the river. What's more, rooms start from just £80 per night. The Crazy Bear Hotel is a total one-off. Eclectic and eccentric, this converted coaching inn just outside Oxford is ideal for a surprise weekend away. If you think a self-catering option would best suit your needs then check out the wide variety available online with our partner, booking.com. With a temperate maritime climate year round, there's never exactly a bad time to visit Oxfordshire. The weather's at its nicest however during the summer, with the average temperature reaching 16°C in July and August. That said, this is peak season and so expect Oxford itself to be mobbed with tourists and prices to be higher. So, it may be a good option to visit later on in the Autumn; when the surrounding countryside turns a series of beautiful colours and there's a quieter atmosphere. International visitors should either fly into London Heathrow or Birmingham Airport. From Heathrow you can take the train, which serves a number of destinations in Oxfordshire, whilst Birmingham Airport also has its own train station. 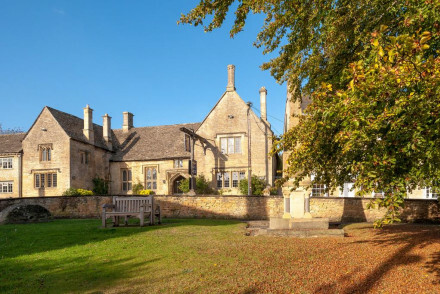 Browse through our list of all the best places to stay in Oxfordshire. 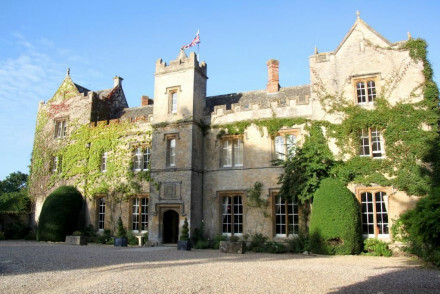 Expand your search to look through the best places to stay in neighbouring Gloucestershire or Wiltshire. The newest offering from the quirky and chic Artist Residence brand offers more of its trademark interiors. Five lovely rooms tucked in the eaves & the outside Barn Suite, this Inn with rooms is the perfect romantic or weekend bolthole. Just 15 mins from Oxford and easy access to the Cotswolds. 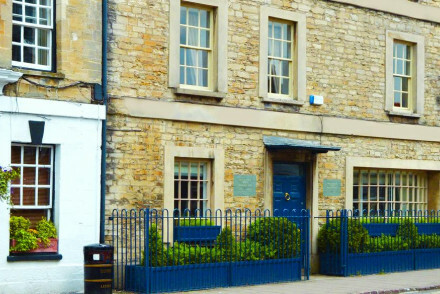 Local exploring - You're ideally located both for Oxford and the The Cotswolds. An impressive Grade II-listed Country House set in beautifully manicured gardens. Traditionally dressed rooms vary in size but all are light and characterful. The Brasserie restaurant offers contemporary British fare. Well located for access to the Cotswolds and Oxford. 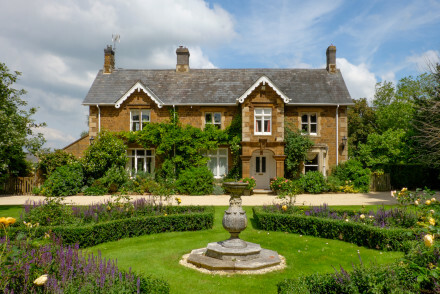 Country Escape - A grand house set in beautiful grounds with easy access to the Cotswolds. Great walks - Explore 2,000 acres of "Capability" Brown landscaped park at Blenheim Palace. Sights nearby - Take a tour of the fascinating Oxford Castle. 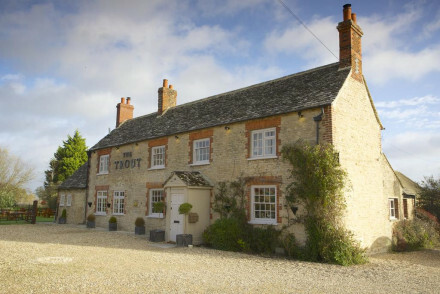 A charming 18th-century inn set in an Oxfordshire village. Expect traditional rustic style with exposed beams, tilting ceilings and open fires combined. Stylish rooms have elegantly designed fabrics, cosy bed-throws and sink-into beds. Serving very good classic pub fare. Countryside perfection. An elegant country inn offering unique designer rooms in the heart of the Cotswolds. 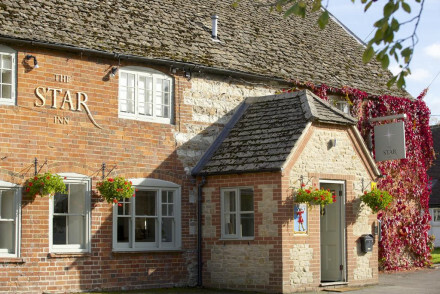 A former 17th century coaching inn; ideal for enjoying long country walks on the Oxfordshire Way. Featuring a restaurant, a courtyard garden and a family-sized cottage for up to six people. Sights nearby - Spend a day at majestic Blenheim Palace. Great walks - The Oxfordshire Way passes nearby. Set in the gorgeous Oxfordshire countryside with towns and villages within easy reach, this recently restored Victorian house offers pretty, spacious bedrooms with fantastic views. The garden has a tennis court, heated pool and croquet lawn for active guests. A perfectly located country escape. 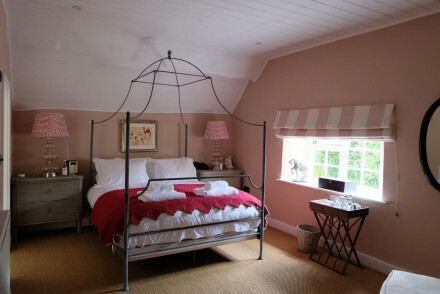 Country Escape - Situated in a pretty village in the heart of beautiful Oxfordshire. Sights nearby - Located near the village of Sibford and within easy reach of Oxford, Warwick and Stratford-upon-Avon. Great walks - There are many walking routes straight from the village. Traditional ivy-covered inn in village setting. Acclaimed restaurant, bar, individually designed suites, Overlooking the river. A perfect example of a village pub offering exemplary cooking, a warm welcome and fabulous selection of ales. The rooms do not disappoint either with walls painted soft grey, beamed ceilings and pops of colour coming from the soft furnishings. There's plenty to explore in the region too. Country Escape - Set in an area of beautiful walking country and offering exemplary food and a cosy stay. Sights nearby - Visit The Ridgeway, Britain's oldest road or the National Trust’s White Horse Hill, a bronze age hill figure on the chalk downs. A charming Inn set on the outskirts of the historic town of Wantage overlooking picturesque countryside. Light and airy rooms are cosy and traditional with white-washed walls, exposed beams and sink-into beds. Superlative pub fare is served in the restaurant using the best local produce. Local exploring - Ideally located to explore the historic market town of Wantage and surrounding countryside. Great walks - Embark on long walks through the picturesque countryside surrounding the town. Local markets - Sample local produce at the Wantage market - Wednesday and Saturday. An impressive medieval property beautifully renovated into a luxurious hotel. Original features throughout (think beamed ceilings, flagstone floors, exposed stone) give a sense of real old-world charm. Set in stunning Cotswold countryside, this is a hard one to beat. Great walks - The picture perfect Cotswolds make ideal walking country. Sights nearby - Spend a day exploring the impressive Blenheim Palace. This 500 year old antique-filled farmhouse, with traditional fireplaces, beams, winding staircases and three en suite bedrooms, is the perfect country escape. Enjoy a classic homemade English breakfast, relax in the drawing room, or on warmer days, stroll amid the picturesque walled gardens. 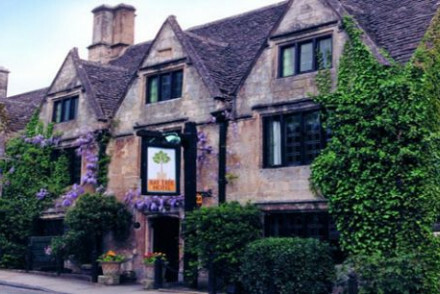 An atmospheric Inn set in a bustling and picturesque Cotswold village. Simply designed rooms feature beamed ceilings, crisp white linen and antique furniture. The restaurant offers modern hearty pub food alongside a choice selection of ales, ideal after spending a day exploring the region. 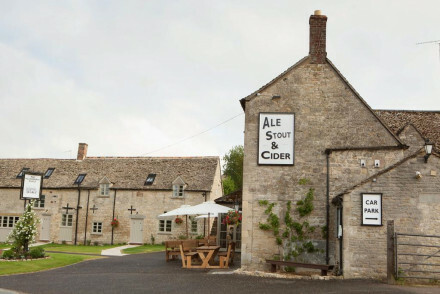 Country Escape - A cosy pub located in an idyllic village within the Cotswold countryside. Great walks - Explore the picturesque villages and countryside of the Cotswold's on long rambles. Sights nearby - Visit the stately home Blenheim Palace, birthplace of Sir Winston Churchill. 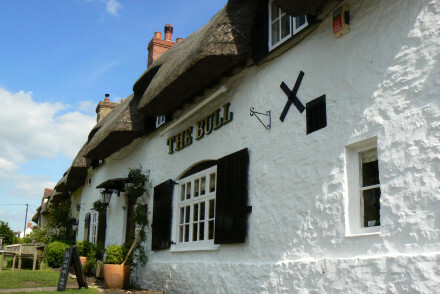 A wonderfully chic pub within striking distance of London. Impeccably styled rooms feature contemporary artwork, bold patterned fabrics and the best has a clawfoot bathtub. An atmospheric restaurant and bar churns out good classically British fare. Ideal for a rural weekend away. Country Escape - A chic rural property with easy access to the charming Cotswold countryside. Great walks - Get out into the countryside and take long walks through the picture perfect landscape. Sights nearby - Take a tour of the stately home, Blenheim Palace. 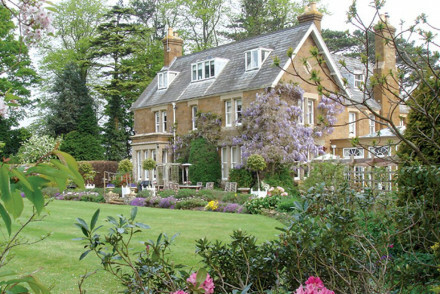 Tucked into the Cotswolds, Uplands House is a lovely B&B near Banbury exuding a homely, relaxed feel. Uplands features delightful rooms and an excellent dining option. A great launchpad for exploring the Cotswolds. Sights nearby - Take a day trip to Stratford Upon Avon and explore the home of Shakespeare. Great walks - The surrrounding area is full of beautiful walking trails. 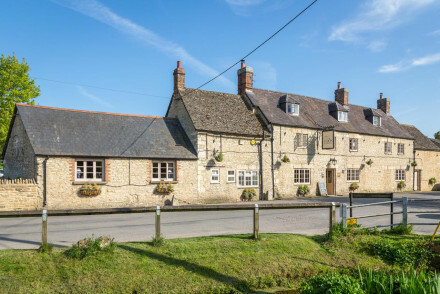 A fabulous country pub in the picturesque Cotswolds. Charming rooms are simply dressed and traditional in style. A buzzy restaurant and bar feels like a community spot with friendly staff, fantastic ales, homemade beer and hearty pub fare. 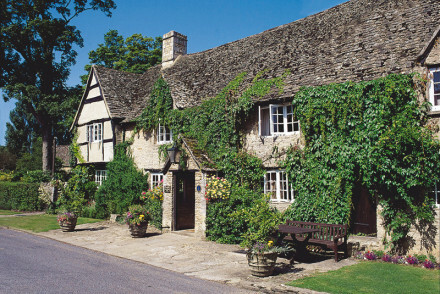 Country Escape - Charming, cosy and offering fabulous food all set in the picturesque Cotswolds. Sights nearby - Visit Blenheim Palace the birthplace of Sir Winston Churchill and now a world class UNESCO World Heritage Site. Great walks - Take long rambles through the quintessentially British countryside of the Cotswolds. Cooking classes - Sign up for a cookery class at the fantastic Daylesford Cookery School. 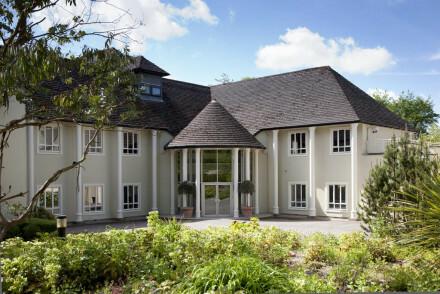 A Country House comprising of an original Grade II listed building and a large contemporary new wing. Rooms uniformly are spacious, featuring large windows and soft hues. The ones in the new wing have a more modern flare. Boasting a fantastic fine-dining restaurant and a relaxed brasserie. 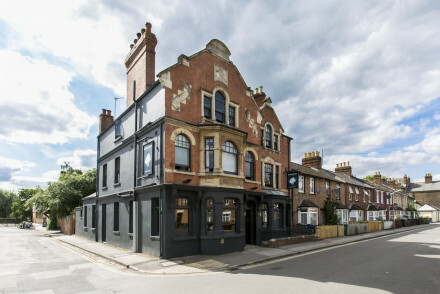 Foodies - Housing Restaurant 56, widely regarded as Oxfordshire's best restaurant, serving British classics with a twist. Great walks - Head into the Cotswolds and take long walks through some of Britain's most picturesque countryside. 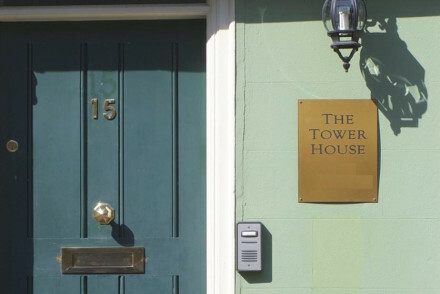 A charming boutique hotel and social enterprise in the heart of the historic city. Light and airy individually styled rooms feature reclaimed or antique furniture and a fresh palette. The best has a roll top bath. An indulgent breakfast is included in the cost in neighbouring Turl Street Kitchen. Local exploring - Perfectly located in the heart of the city. Sights nearby - Walking distance from the Bodleian Library and Radcliffe Camera. Great walks - Take a stroll through the pretty Christ Church Meadows. A charming spot with all the trappings of a typical British inn yet with a distinctly modern flavour. Rooms are individually styled with white-washed walls, exposed beams and contemporary furniture. Downstairs the restaurant offer superb Mediterranean fare alongside a choice selection of ales. Short fly break - A quintessentially British inn ideal for a weekend of hearty food, long walks and curling up with a good book. Great walks - Slowly ramble along the scenic Thames Path National Trail. This 18th century inn is more than just another Cotswolds B&B. Curl up with a book next to an open fire or explore the rose scented gardens. Rooms are spacious with antique oak furniture and colourful fabric. Bathrooms have original wood floors. An award winning restaurant serves seasonal cuisine. Great walks - Combine a walk through this typical Cotswolds town with a traditional cream tea. Sights nearby - The university town of Oxford is 20 miles away and well worth a visit. An historic and characterful pub in the heart of the ancient town of Abingdon and just a short distance from Oxford. 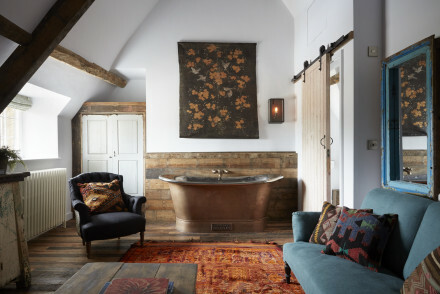 Dark moody rooms are filled with heavy antiques, rich hues and boast indulgent bathrooms. A classic British pub takes care of a large appetite after a day spent exploring the region. 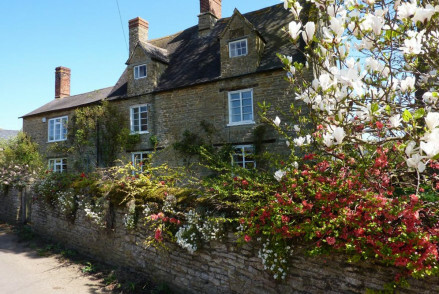 Local exploring - A charming property set just 7 miles from Oxford. Sights nearby - Visit the Abingdon Abbey ruins and surrounding gardens. 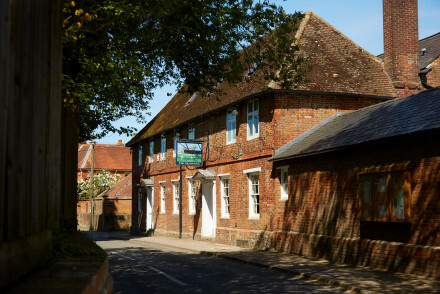 Set in the pretty rural village of Hampton Poyle a boutique hotel, pub and restaurant. The nine rooms offer egyptian cotton bed linen, large beds, luxury toiletries and bathrooms with monsoon showers or roll-top baths. The restaurant specialises in pizza and fish. A great country escape. 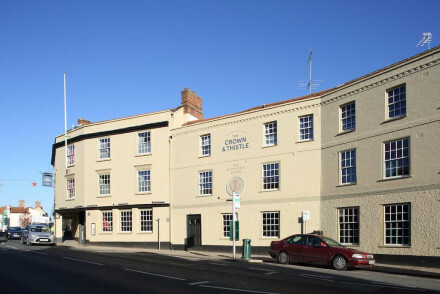 Located in Woodstock, The Crown Inn is set in an historic 18th century property. The rooms are gorgeously decorated - featuring boutique furnishings and en-suites. Tuck into lovely meals at the downstairs restaurant. A terrific retreat which is ideal for couples. Sights nearby - Blenheim Palace, Churchill's family home, is an absolute must-visit! Elegant and historic country house hotel just a stone's throw from Bicester Village. Twenty five well appointed and elegant rooms feature stylish, traditional furnishings. Dinner is served in the stunning wood panelled Baron's Hall and the gardens are beautiful. Perfect for a romantic break. Sights nearby - Within easy reach of Oxford, Blenheim Palace and the Cotwolds villages. Swimming Pool - Outdoor heated pool, open during summer months. Winding your way along the Burford lanes, stumble across this 'chocolate box' property. Dating back to the 16th century it has traditional flagstone flooring, open fires and cosy rooms. The award winning restaurant serves lunch and dinner. 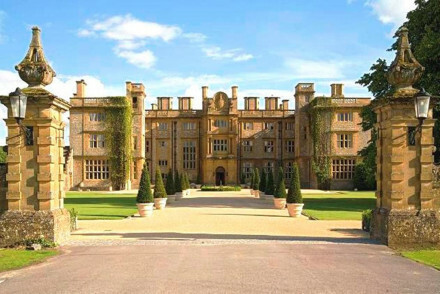 A popular wedding venue and base to explore the Cotswolds. Historical hotel near Oxford. Colourful rooms, garden, courtyard. Extensive gin bar. Award-winning restaurant. A pretty Georgian townhouse, a former glove workshop, in the heart of the picturesque town of Woodstock. Housing just three spacious and immaculately designed rooms. The best has a free standing copper bath. Indulgent breakfasts are served and there's a beautiful wood panelled lounge to unwind in. Local exploring - Perfectly located with easy access to Oxford and the Cotswolds. Restrictions on children - Children can be accommodated if both rooms are booked together. Great walks - Take long walks through the pristine Cotswolds countryside. Sights nearby - Stroll down to the World Heritage Site of Blenheim Palace. Fantastically modern interiors and stunning atrium in this atmospheric castle and former prison. Sleep in converted cells with original fittings and Gothic colours. New, airier rooms are also available in the additional buildings. Good brasserie food and a smart neon-lit cocktail bar. 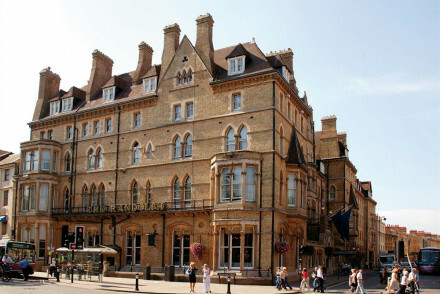 Just a short walk from Oxford city centre, The Porterhouse is a superb restaurant with excellent rooms. The seven stylishly decorated rooms are pretty, comfortable and spacious. A superb quality grill restaurant is a haven for meat lovers. Perfect for a weekend among the spires. Foodies - If you are a meat lover, this could be the perfect place to stay. Local exploring - A great base from which to explore Oxford. Sights nearby - With around forty colleges to choose from, it would be hard to come to Oxford without visiting at least one or two. A luxury boutique hotel in a wonderfully old building. The rooms have simple contemporary design. Bathrooms are pleasingly indulgent. A small but well stocked library is awaiting academics. The restaurant is excellent. Highly recommended. Writing a novel - This recently refurbished masterpiece was once home to Oscar Wilde, sit in the luxurious library and draw inspiration. Great walks - Book a guided walking tours of the city and University Colleges. Sights nearby - Visit any one of the 38 University Colleges. Sophisticated hotel with buzzing restaurant and bar. Tudor interiors updated with chic styling and large beds. Discreet and laid back luxury and perfectly positioned for sights. Contemporary art on the walls. An ideal city stay. Local exploring - Neighbouring some of the oldest Oxford colleges and within walking distance of shops, theatre and the city’s Botanical Gardens. City Style - Georgian alcoves, wood-paneled walls and large sash windows meet bold modern art and understated elegant interiors. Sights nearby - Plenty of sights to see nearby, the hotel is opposite St Mary’s Church, and neighbouring University and Merton. Great walks - Riverside and meadow walks from the hotel or walking tours with a guide. Eclectic, eccentric – a one off converted coaching inn. Think padded leather walls, silver beds, copper free standing baths. A London red bus sits decoratively in the garden. The two restaurants serve traditional British or Thai food. Best for wacky weekends away. Romantic Break - In room freestanding baths and intimate dining areas make for a romatic weekend away. Fishing - Fly fishing is organised by the hotel both for events or just a day out. Great walks - Explore the 80 acres of parklands with rare bread farm and woods. A chic boutique property in the heart of the city. Beautifully styled rooms perfectly merge the old and the new with bold printed fabrics standing out against white washed walls and ornate fireplaces contrasting with simple contemporary furniture. Comfortable and convenient, ideal for city breaks. City Style - A chic boutique property in the heart of the city. Sailing - Hire a punt and float down the river in true Oxbridge style. 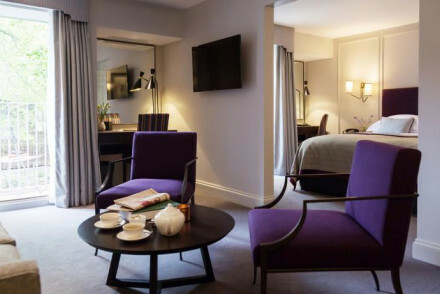 Robustly elegant, quintessentially English and extremely comfortable, The Macdonald Randolph Hotel is perfectly situated on the corner of Beaumont Street and St Giles, within easy walking distance of enough historic sites to satiate the appetite of the most culturally hungry traveller. Great walks - Oxford's size makes it a wonderful city to explore on foot, wander the streets and soak up the history. World-class indulgence in the Oxfordshire countryside. Raymond Blanc's delightful fusion of hotel, acclaimed restaurant and gardens is luxurious, yet warm and charming. Thirty two rooms and suites are individually designed, the gardens are divine, and the food breathtaking! Simply stunning. Foodies - The hotel has retained its Michelin stars for the 35th year running. Dining here is unmissable! Garden - Le Manoir's stunning gardens provide most of the ingredients for Raymond Blanc's epic food.